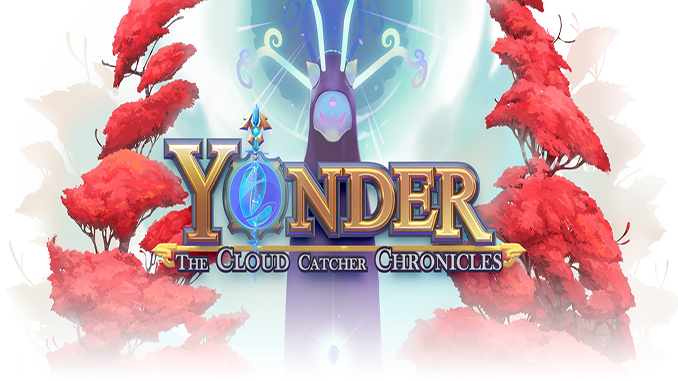 Yonder: The Cloud Catcher Chronicles is an open world action adventure video game developed and published by Prideful Sloth. The game was released via Steam on 18 July 2017 for Microsoft Windows. Yonder is set in the world of Gemea. A natural island paradise with eight distinct environments ranging from tropical beaches to snow-capped summits. But Gemea is not as perfect as it seems. The mysterious Murk has taken hold of the land! As the hero of Gemea, you can seek out the hidden and whimsical creatures known as Sprites. Use their power to clear the Murk and restore nature’s beauty. As you explore Gemea, you can barter with friendly locals, discover unique materials to craft with, befriend the adorable wildlife and even create your own working farm. -A vibrant open world full of things to discover and places to explore. -Set your own pace; trail-blaze across the world or settle down for a spot of quiet fishing and farming. -Master professions like carpenter, chef, tailor and more to help the residents of Gemea. -Craft and trade items to solve puzzles as you banish the murk from the island. -Befriend and adopt endearing creatures. -Build and harvest multiple farms across 8 diverse biomes, ranging from grasslands through dense forest, Caribbean tropics and more. -Multiple creative routes to achieve objectives. -A dynamic living world – seasonal changes affect routes, animals migrate, day/night and evolving weather conditions affect the world. -Spend time doing what you want: fishing, farming, crafting, questing, picking up rocks. It’s all up to you!